The Library Tasting Experience at our newest property is open by appointment only from 10 am to 4 pm, Wednesday through Sunday. Library tasting fee is $80 per person and independent of wine purchase. 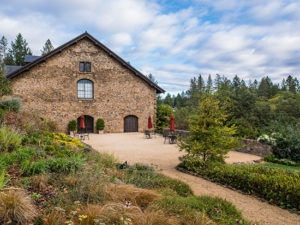 CADE at 13th Vineyard is the newest property in the PlumpJack portfolio, but is one of the historically oldest properties in all of the Napa Valley. Its name is derived from it’s place in history as the 13th bonded winery in the Napa Valley, originally established in 1886! 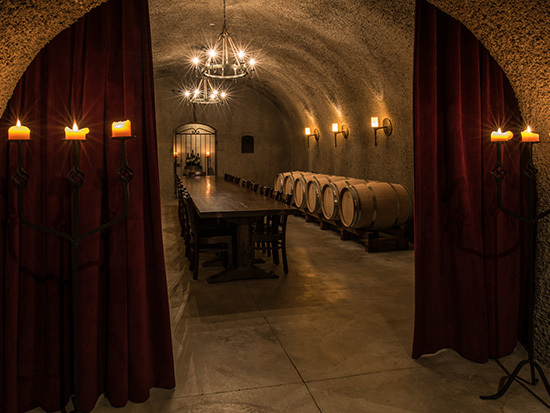 Here, on the grounds of this extraordinary Estate, you will enjoy library selections of our wines pulled from deep within the CADE cellars, and gain access to vintages that have not seen the light of day in some time. This experience is ideal for the connoisseur, or visitors looking to add some vintage wines to their collection. Library tasting experiences are offered on our garden terrace adjacent to our historic stone winery and within our Library, nestled deep within our wine caves.